The Hubble Space Telescope has captured some of the farthest reaches of the universe with its deep field images, cosmic core samples of galaxies captured in tiny, focused sections of the night sky. When astronomers discuss these observations, the question arises, again and again – is this an accurate representation of what the universe looks like? Or are these glimpses unique? And what else can we learn about the high-redshift universe, the distant regions of the cosmos Hubble’s successor, the James Webb Space Telescope, will observe upon its launch in 2018? Sembach and STScI Director Matt Mountain contacted the Spitzer Space Telescope and Chandra X-ray Observatory directors to let them know that Hubble would be planning a new deep field initiative, and to ask them to join in the spirit of NASA Great Observatory cooperation. Spitzer joined the collaboration and offered to devote some of the telescope’s discretionary time – time on the telescope set aside for the director to use on worthy projects. Chandra worked with the X-ray community to determine how to support the new deep field effort. The Chandra Guaranteed Time Observers team believed that further observations were necessary, and committed some of its time to observations of these fields. To ensure the broad scientific goals of the astronomical community were met, STScI chartered a Hubble Deep Field Initiative working group made up of primarily of external scientists in the summer of 2012. The group, chaired by Dr. James Bullock of the University of California — Irvine, spent several months examining the scientific investigations that would be made possible by investing a substantial amount of Director’s Discretionary observing time in this project. The working group also considered synergies with other observatories, including Spitzer, Chandra, and the Atacama Large Millimeter/submillimeter Array (ALMA). STScI made it a point to have scientists familiar with these observatories participate in the working group. Due to the compelling science program envisioned by the working group, Hubble was committed to conducting this program. The project was made even stronger by the participation of other observatories, such as Spitzer and the European Space Agency’s X-ray Multi-Mirror Mission (XMM-Newton). 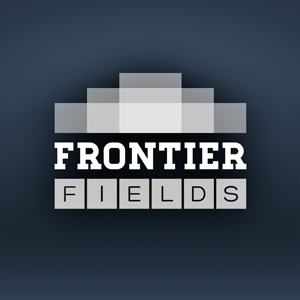 STScI started using the term “Frontier Fields” in November 2012 as it began to communicate the recommendations of the working group to the rest of the astronomical community. STScI created an implementation team to begin the process of determining what would be needed to implement the science program recommended by the Hubble Deep Field Initiative working group. The team, chaired by Jennifer Lotz – who was also a member of the working group — selected the fields to observe, prepared the observing specifications, created a data pipeline to produce science products shortly after the observations are obtained, and worked with members of the community to collect additional information, such as lensing maps, in support of the program. As the Frontier Fields project moves forward, it will unleash a flood of new science that will be made immediately available to the scientific community in the form of both raw observations and science products. The next several years promises a wealth of new data and discoveries that will continue to help alter and define humanity’s repository of astronomical knowledge. Would it be very difficult to create a source of impulse and data trasnmission equipment to send a small telescope outside our Galaxy? Hi Maggie. That is a really interesting question. It turns out, space is just too big. With current technology, the spacecraft that are the most distant from Earth are the Voyager spacecraft, which are just entering into interstellar space after traveling for about 35 years. Given the sheer size of our galaxy and the speed limit set by the speed of light, there is no known mechanism to send a spacecraft outside of our galaxy within a human’s lifespan. It takes light more than 1,000 years, traveling at a maximium speed, to traverse vertically through the disk of our galaxy. Even if we had a spacecraft approaching the speed of light, it would take far too long for any living person to launch the spacecraft, have it get out of our galaxy’s disk, take images of our galaxy from the new vantage point, and have those images transmitted back to Earth. Remember, even the transmission of those images can go no faster than the speed of light. The High-redshift seen by Hubble Ultra Deep Field might be due to distance not because the objects are moving away from us, the Deep Field Hubble sees perhaps is the same around us with the color exception. Tengo un telescopio en casa. Es un modelo medio, pero bastante funcional. Podemos ver la luna, estrellas muy lejanas, y algún planeta. Lo utilizamos mi hija y yo, y al principio fue bastante gracioso, ya que, hace efecto espejo, y se ve todo al revés. Supongo que en el gigantesco Hubble habrán corregido de sobra este suceso. !Cómo me gustaría mirar un ratito el Universo, a través de los “ojos”, del Hubble! Thank you for your comment. All concave mirrors will flip images if the detectors are at or beyond the focal points. The images are flipped from Hubble’s mirror as well. However, astronomers take their images and orient them to match convention, which is usually to have north be up and east be to the left. I don’t know were to submit this question so I will do it here, no need to answer. Can a collider be build in space to look for Dark Matter particles and use a large amount of oil with other several elements we have? It might be easer to find it in space.